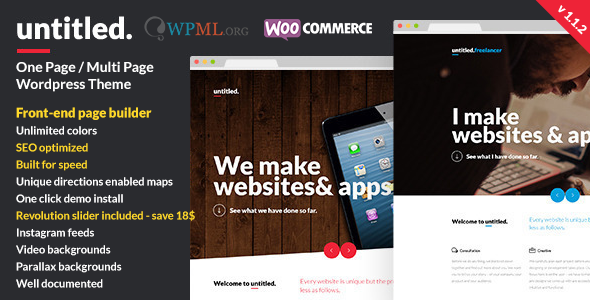 Welcome to Untitled – the most powerful theme found on the market today! We're proud to introduce to you the powerful front end PageBuilder based on our proprietary ZnFramework. Use it to build your entire site without writing a single line of code! It's packed with elements and each element is packed with options. You can add your content and later change the design in seconds.